A clan chief has a duty to wed and produce heirs, especially if he also carries within him the power to keep his people safe from the evil that seeks to triumph over them. But Bren Mac Coinnach has long refused to take just any wife. He secretly waits for the one woman that legend says will be his and his alone: his perfect other half, and each year of waiting grows longer and more difficult than the last. When a woman is placed under his protection, he makes a vow not to touch her against her own will, and he soon realizes it won’t be an easy vow for him to keep, especially since her will seems made of iron. 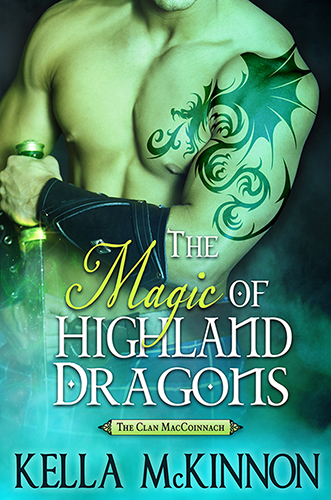 Bren hungers for her with a need stronger than he has ever felt before, but in a world filled with magic and the timeless, endless battle between good and evil, both his honor and her life are soon at stake.